Originating from his 1986 classic feature-film, “She’s Gotta Have It,” Spike Lee is back with a series and he’s on Netflix. If you haven’t heard, She’s Gotta Have It, premiered over the Thanksgiving holiday weekend on Netflix. And it was everything and more! The TV series is 10-episodes follow the life and career of Nola Darling, a painter, teacher, and well-rounded woman living in Brooklyn and played by DeWanda Wise. Placing Nola at the center of his story, Lee directed all the first season’s episodes, making her the constant focus of our attention, and in the center of his camera frame. Following Nola’s journey to self, we get a preview of her relationships with the three men in her life, Jamie Overstreet (Lyriq Bent), Mars Blackmon (Anthony Ramos), and Greer Childs (Cleo Anthony). With each relationship, she discovers a different piece of herself, while finding her voice through her artwork. Her friendships with her best friends are also a great peek into sisterhood as each of the women struggle with their self-identity, body image, career and love in today’s world. Lee also does a great job depicting Nola’s important connection with her work and the men to his audience. His well-rounded portrayal of showing she’s an independent 21st-century woman, not willing to be defined by labels is to be applauded. Lee’s new version of She’s Gotta Have It is much more progressive and brazen in its sexual politics than his original film was, and his authentic visual style feels like a classic Spike Lee joint when viewing it on Netflix. 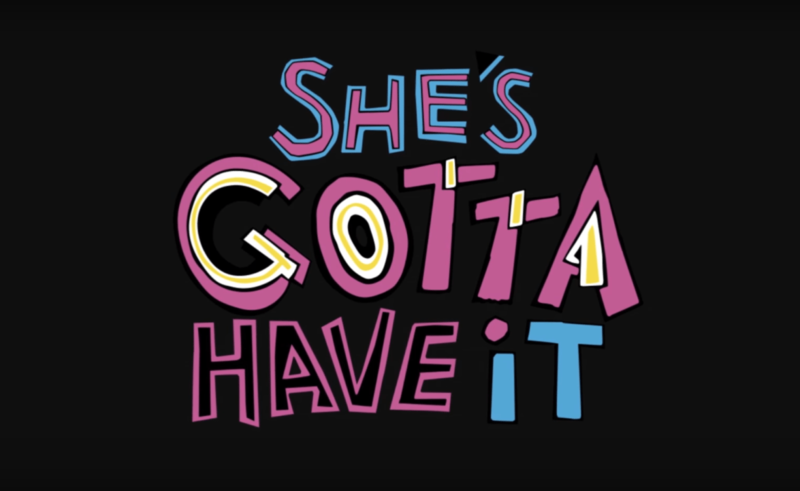 She’s Gotta Have It has numerous continuing storylines with each episode containing sprinkles of feminism, civil rights, the history of cinema, art, literature, and music that leaves us with plenty to talk about. If you haven’t had a chance to check it out, you are depriving yourself of something wonderful. Take a peek at the trailer.